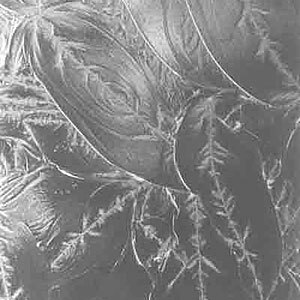 A fern-like pattern is on one surface that resembles a window after a visit from Jack Frost. 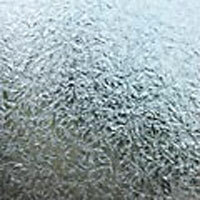 Created by applying hot glue to the sandblasted surface of clear float glass and as it dries, the glue shrinks and cools removing flakes of glass from the surface. 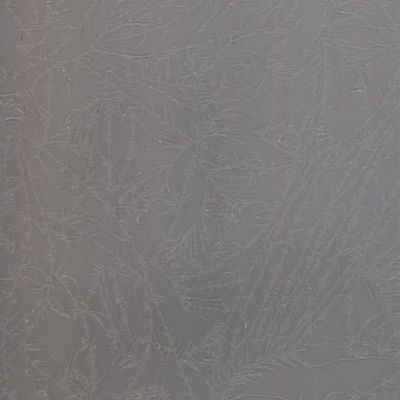 Great background for window panels and cabinets where a little more privacy is required. Excellent for use in combination with bevel clusters. Double Glue Chip has more fern-like patterns per square inch than the Single Glue Chip.